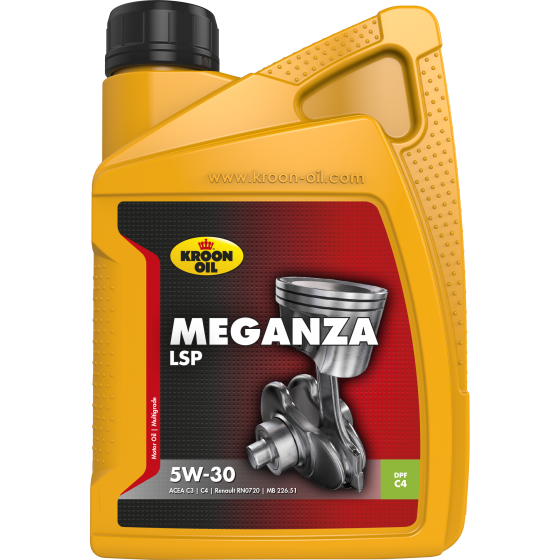 Meganza LSP 5W-30 has been specially developed for modern petrol and diesel engines in cars and vans equipped with a particulate filter and/or catalytic converter. The special Low SAPS formula extends the service life. If the manufacturer so requires, extended oil change intervals are possible. Suitable for use in the latest Renault models equipped with a particulate filter and for all other makes of car that require an ACEA C4 specification.